Abacus offers lotteries the opportunity to reach 100% of their potential players in-store with the Abacus InLane Solution. Implementation of the Abacus InLane Solution means that potential players are exposed to the opportunity to play lottery at every till point as they’re checking out their shopping – unlike the current 5% of shoppers playing at a dedicated in-store terminal. Abacus manages the integration of the lottery’s existing or new games into the retailers’ EPoS systems from start to finish, making it easy and painless to implement. 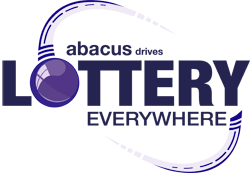 Abacus offers lotteries the opportunity to sell LOTTERY EVERYWHERE™.